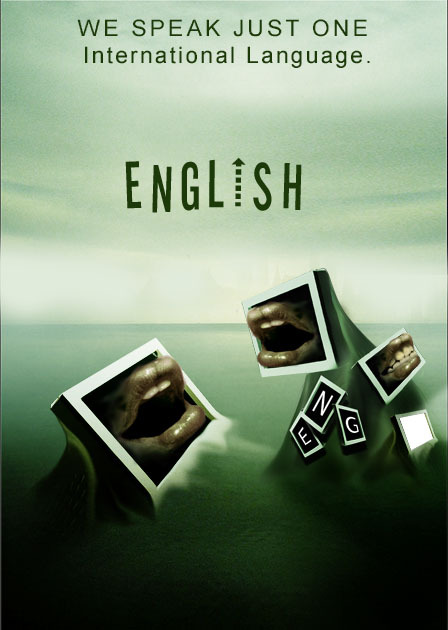 The English language is considered as a universal language, mainly because it is the most spoken language worldwide. Through out history, people have had to communicate to each other, whether it be for business, for hunting, or for fighting… From the very beginning of human civilization it has always been the main international language used, originally established for the dominant civilization; the Latin language was expanded by the Roman Empire, the French language became popular for the Napoleon conquests, and finally the English language from the UK expansion and the incursion of USA as the first world power, and it’s basically through all the conquests, the commerce, the religion, the education and the technology that English has became the first language worldwide. One of the reasons why it’s the universal language is because it’s the ‘business language’. For example if a company is dealing with a foreign company with a different mother tongue, they will use the English, the universal language to communicate to each other. English is the main language of these countries where there is lots of languages spoken, like in India where more than 700 languages are spoken by their local people. English is also one of the most studied language all across the world, most of the countries teach it as a second language from primary school. As per the statistics, it said that the English language is one of the easiest languages to learn, if we compare it with languages like Chinese, German, French and even Spanish. Worldwide we see that most of the communication sources, information and material sold or given to us are in English, for example: films, TV shows, music, documentaries, popular brands, etc…. It is such an important language worldwide, that 80% of the information that we find in the internet is in English, take this into consideration because the internet is one the most used and effective sources of communication across the world. So if you need to learn English or improve your level of English, please visit our website or contact us and we will find the best choice for you, totally free of charge! By worldchoiceeducation in Uncategorized on August 8, 2013 . Thank you for your comment, we wrote this article in World Choice Education. We write this blog between all the members of the team. English is the best language in the world because of it’s ungodly number of adverbs and other tools. It allows for more articulate speech. Thank you Darkul81! You’re totally right! I want to enhance using english..this site is very helpful.. Thank you Mizatte yun noh! I really loved english language knowing the economic status of my country is poor. If youre better in speaking english. It is sign of good education. I wanna learn more so that i can work abroad to satisfy my needs as well as my parents. Thank you for your comment Faisah! If you need help to find a work experience abroad or improve your English please do not hesitate to contact us! Hi Faisah!, thank you for your comment! And you are totally right! If you need any help please let us know! It is very important language for all kinds of people. so we should learn English more and more.The number 1 language isEnglish and we want more information about it. Thank you for your comment Arisha, it is very important indeed, if you need any help about learning English please let us know! Hi, I like your findings about the English Language and would want to cite it in my research paper. How do I cite this article/blog? Hi larnyx thanks for writing. Hey, nice blog! thank you for writing it, people will get more aware of it and will have the bright future. Keep updating with more such posts!